As no two doctors, lawyers, electricians etc. are equal in expertise, the same is true of inspectors. Although all licensed inspectors have undergone some training, securing a license is only a benchmark for an individual to reach a minimum threshold. The state has no requirement for an inspector to go beyond the minimum and undergo advanced training and certification. Take some time to review the experience and qualifications of an inspector before you hire one. certifications and his wide range of experience give him a very practical foundation of code knowledge. Are All Inspectors Equally Qualified? Engineer vs. Qualified Home Inspector There may be a reason to engage an engineer on any residential or commercial inspection if budget allows. A good reason would be if there are specific structural concerns that are known prior to going into a transaction phase. However, bear in mind most qualified engineers will charge a premium to perform a basic real estate inspection. Also consider that a real estate inspection entails more than potential structural concern and an engineer does not necessarily have any more knowledge or expertise with other systems than the most qualified real estate inspector. Qualified Home Inspector vs. Code Inspector for Phase Inspections Due to the complexity of a building phase inspection and its direct relationship to code compliance, this is not the place for a general home inspector. There are many home inspectors in the local area that promote and accept these inspections but do not have the proper credentials to perform them. Regardless of previous building or trade experience, code compliance inspection is very specific and should only be performed by certified individuals. If you are considering hiring a real estate inspector that offers to perform Phase Inspections, you are urged to contact the ICC to verify their credentials prior to hiring them. The vast majority of builders will not recognize a real estate inspectors findings on a phase inspection and simply tell you their own private code certified inspectors and the city inspection department have approved the work. The net result is you will waste your money on the inspection. To gain any traction at all with the builder on phase inspections, it requires hiring a reputable and highly certified code inspector. Engineer vs. Code Inspector for Phase Inspections Unless the engineer has specific code credentials for all primary residential trades, you are far better off working directly with a residential code certified inspector during the Pre-Drywall (inspection of framing, electrical, air conditioning, plumbing) and Final inspections. You will receive more specific and relevant code guidance and at a more reasonable fee. 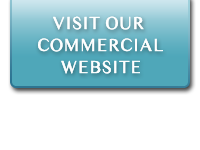 Hiring a Commercial Inspector Commercial building inspection is undoubtedly the most complex type of inspection any inspector will perform. Licensure by the state of Florida does not certify a home inspector to perform commercial inspections, nor does it prohibit them from doing so. Commercial inspections are completely outside the scope of residential inspection standards and the knowledge base of many licensed home inspectors. It is critical you fully understand the commercial credentials of your inspector prior to hiring. What sets one inspector or company apart from another? Experience? Training? Customer service? Interpersonal skills? Honestly, these are all important, if not essential. The inspector you choose should have years of construction and inspection experience and have maintained a vigorous program of continuous training. They should understand and be up-to-date on building codes, construction standards and professional practices and standards of care. That being said, they should be there to serve the customer, be their advocate, and present an honest evaluation of the conditions existing at the time of the inspection. This means being fair to all parties. Never exaggerating the truth, but presenting the facts as they understand them in a clear and concise manner. The client should be satisfied that his or her questions have been answered to the best of the inspector’s ability, without conjecture or intentional ambiguity.